The Opportunity Project, the new citywide intermediary for expanded learning, is dedicated to connecting youth to the world of opportunity. By linking schools, programs, community agencies, the private sector, volunteers, and local youth and families, The Opp seeks to improve the quality, access and delivery of expanded- learning opportunities for youth in Tulsa. Why Does Tulsa Need an Integrated-Learning System? We expect more from youth today than ever before — higher level academic work, social and emotional skills, career readiness and more. With the increasing demands on what to include in the school day, how can we give students the edge they need? Out-of-school time provides the time, space and enriching environment to develop these critical skills. The boundaries of time and space don’t apply when it comes to learning. Learning doesn’t stop when the school day ends, or when summer break begins. Through real-world experiences, young people not only achieve gains in school, but also learn about collaboration and problem-solving. Data shows this learning not only improves academics and behavior, but also helps kids find their passion, and engage in learning and life. This is where The Opportunity Project — an integrated-learning system — comes in, to make meaningful, measurable change. Developing powerful environments where youth can thrive requires coordination, critical backbone services, supports and continuous quality improvement. As an intermediary organization, The Opportunity Project (The Opp) is the underpinning for a network of youth workers, committed to helping students thrive both in and out of the classroom. The Opp connects our city’s array of programs, services and curriculum-based efforts to make Tulsa a model for youth success. Organizing the landscape of teachers, educators, youth workers and community stakeholders, we work to make learning experiences more cohesive between in-school and out-of-school, while improving the quality and access. We advocate for the power of expanded-learning opportunities and help promote high quality experiences to provide a pathway for children and youth to succeed. Social and emotional learning (SEL), along with intentional experiential learning, can be transformative for youth. SEL refers to the process children, youth and adults use to understand the world around them and make positive decisions. 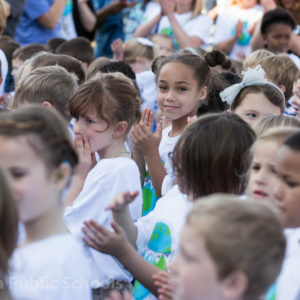 Studies demonstrate that SEL programs drive “immediate improvements in mental health, social skills, and academic achievement, continue to benefit students for months and even years to come*.” Thoughtful SEL strategies lead to positive social behaviors, improved critical thinking skills and teamwork, better attendance, reduced substance abuse and more. These positive outcomes continue into adulthood, where employers and communities benefit from citizens who are better prepared to succeed at work, at home and in life. Imagine never having visited a museum or attended a play. Moving from community to community, school to school, and not having consistent, caring adults in your life. Or living a mile from the ocean but never having put your toes in the sand. For some youth, the everyday enrichment many young people take for granted does not exist. These narrowed horizons means youth in underserved communities have significantly fewer learning experiences than their more affluent peers. In order to spark a passion for knowledge and discovery, young people need real-world, hand-on cognitive learning that engages and motivates them in a way that is meaningful to them. 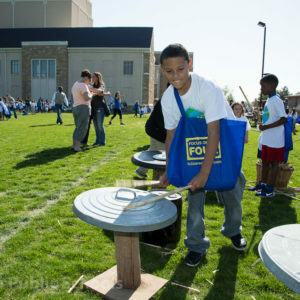 These experiences, known as Expanded-Learning Opportunities, not only create excitement and interest in learning, but equip young people with skills like problem-solving, critical-thinking and practice building relationships — exactly the skills they need to become successful as students, productive citizens, employees and human beings. Developing powerful environments where youth can thrive requires coordination, critical backbone services, supports and continuous quality improvement. As an intermediary organization, The Opportunity Project is the underpinning for a network of youth workers – from educators and program providers, to transportation services, municipal agencies and others – who are committed to helping students thrive both in and out of the classroom. The Opp connects our city’s array of programs, services and curriculum-based efforts to make Tulsa a model for youth success. Learning and enrichment experiences outside the classroom can have just as much impact on achievement-gaps as in-classroom learning. Results suggest that consistent participation in extracurricular activities from 8th grade through 12th grade predicts academic achievement and prosocial behaviors in young adulthood. Data suggests that involvement in extracurricular activities is just as meaningful as test scores when it comes to subsequent educational attainment and accumulated earnings later in life. Students who participate in activity programs tend to have higher grade-point averages, better attendance records, lower dropout rates and fewer discipline problems than students generally. Even moderate involvement in programs was aligned with struggling students persisting to graduation. 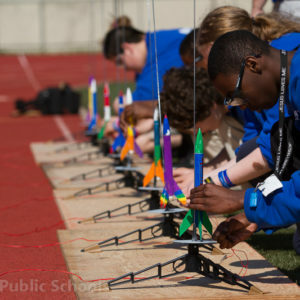 Experiential learning has been found to support higher school retention, graduation, and postsecondary participation rates, as well as boosting academic achievement, positive attitude, and preparation for careers. Engagement in school extracurricular activities is linked to decreasing rates of early school dropouts in both boys and girls. Motivation and behavior are considerably more influential (in predicting college readiness) than achievement alone. Safe environments and the provision of learning opportunities (such as foreign language clubs, computer clubs, and debate teams) can help build a college-going culture. Summer programs stem learning loss over the break and improve student achievement. Summer learning loss in the elementary school years alone accounts for at least half of the ninth-grade reading achievement gap. 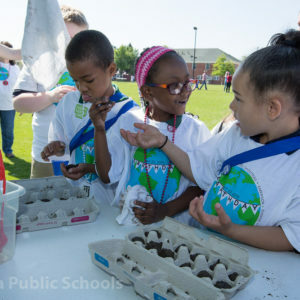 High-quality summer learning programs have been shown to also improve school attachment, motivation, and relationships with adults and peers. Sign-Up for Updates from The Opp! In order to make Tulsa a true city of learning for every young person, we need to work together. If you know of an amazing expanded-learning program or opportunity, or just want to learn more about The Opp, give us a shout. Together, we can connect youth to the world of opportunity! The City of Tulsa kicked off a new program to help empower Green Country students Friday.